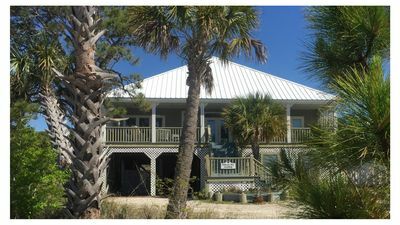 "Seasons" Directly on the Bay | Great Views | Wrap Around Deck! 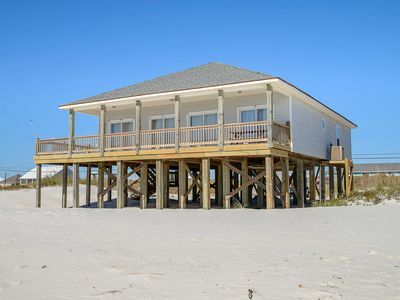 This home on the West End is the perfect place to spend your vacation. 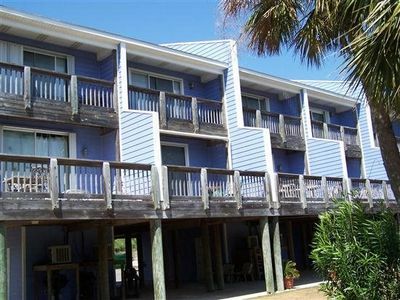 "Seasons" is furnished with beautiful granite counter tops, large double-pane windows, and delightful coastal furnishings! 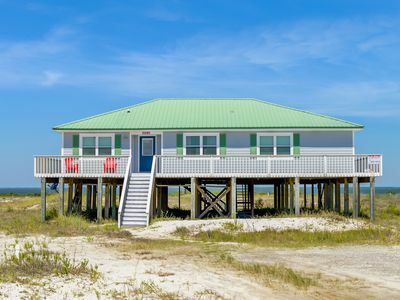 This home is perfect for your whole family! 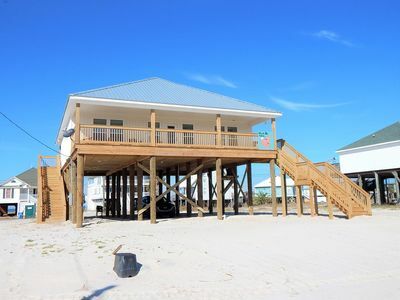 Take a cool swim, stroll on the beach or just relax on the wrap-around porch! 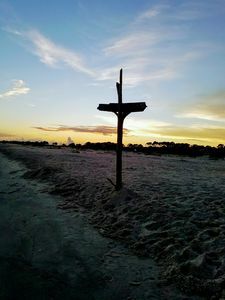 Be sure to check out the aerial drone video and Google Map of "Seasons" in the Media Tab above! 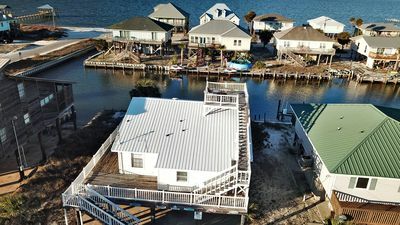 This fabulous five bedroom, three bath waterfront beach home is ideal for large families or vacation sharing with good friends. 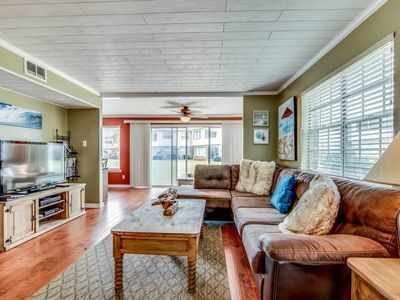 New owner has just recently updated, including beautiful granite counter tops, fresh paint, large double-pane windows, delightful coastal furnishings and new stainless appliances. 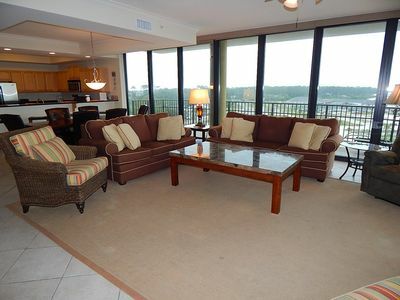 Expansive great room opens to the roomy kitchen and dining area with incredible views of the water! 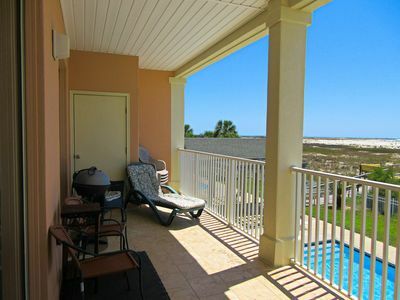 Numerous windows and French doors look out to your private beach area. 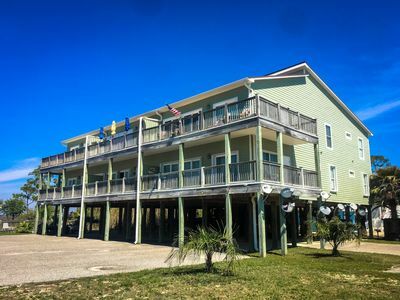 Covered porch and huge open decks wrap around the entire house, letting you enjoy the cool sea breeze and wonderful views from every angle. The living area features a large TV complete with a WII game console and a Playstation. The Master suite is furnished with a King bed and TV. A second bedroom features a King bed. 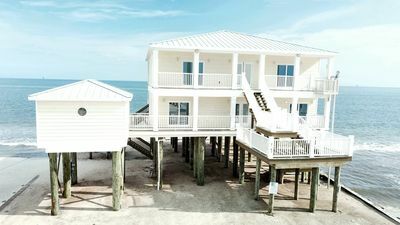 The third and fourth bedrooms are furnished with Queen size beds and a 5th bedroom is furnished with a set of bunk beds. All of the bedrooms have flat screen TVs and ceiling fans for extra sleeping comfort. Three of the bedrooms have DVD players. There is also a sleeper sofa to accommodate everyone comfortably. 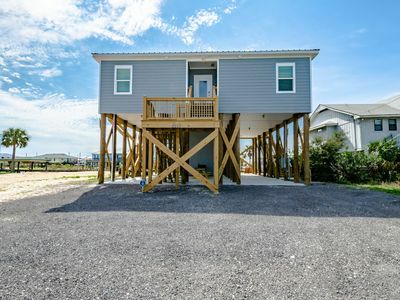 The house will easily sleep 13 people. All of the towels and linens are all furnished for your convenience. The well equipped kitchen with beautiful, new stainless appliances makes cooking a breeze. A dining table for six is accompanied by extra seats at the breakfast bar for gathering everyone together at dinner. Take a refreshing morning swim, spend an afternoon on the beach and relax the evening away watching the awesome sunset while the boats go sailing by. 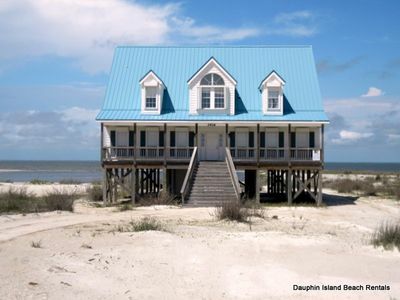 Make this home your wonderful beach retreat for all four "Seasons"! 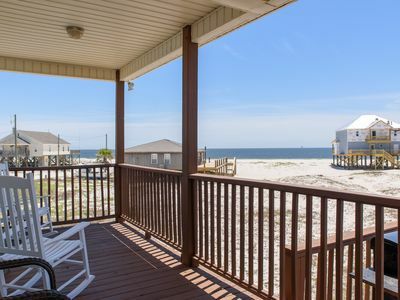 "Chill Out" on the Gulf of Mexico | Amazing view of the water | Pet-Friendly! 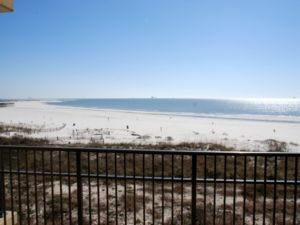 "Sea Y'all" on the Gulf of Mexico | Splendid Views | TVs in Every Room!! 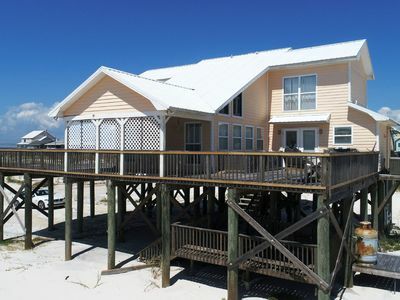 Sea Spot - Waterfront 3 Bedrm with Boat Dock, Rooftop Crow's Nest and great Views! 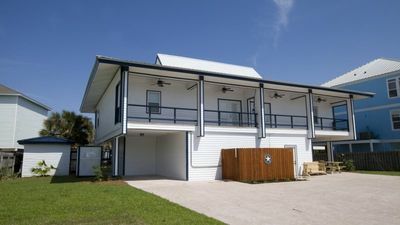 2BR/2BA Condo w/ Pool & Boat Slip - Fisherman & Kayaker's Dream! 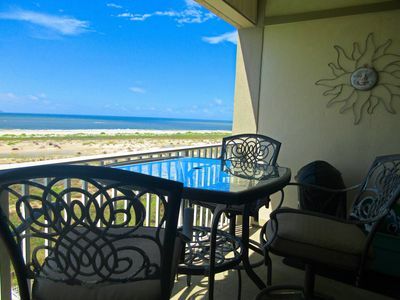 ☆ BOOKING SPECIAL ☆ Rent 3 nights, get 4th FREE (until May 25), email me today! 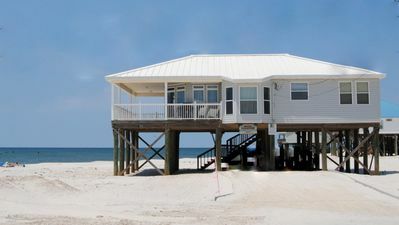 AMAZING VIEWS/BEACHFRONT! 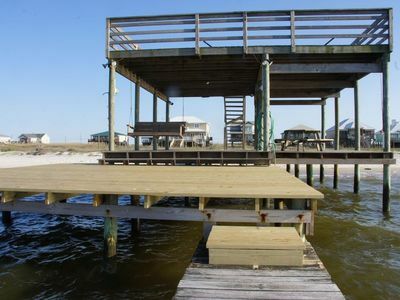 DOCK, DOGS OK, BOTH GULF AND BAY PRIVATE BEACH!